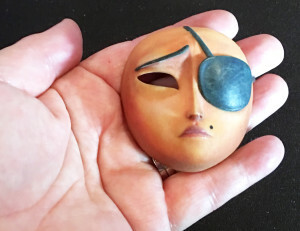 The Beverly Hills Mom » one of the 1.5 million facial expressions from the KUBO characters – these used to be hard carved and cast; now they are digitally printed! Art + Tech!! This entry was posted on Tuesday, August 30th, 2016 at 2:17 pm and is filed under . You can follow any responses to this entry through the RSS 2.0 feed. You can leave a response, or trackback from your own site. one of the 1.5 million facial expressions from the KUBO characters – these used to be hard carved and cast; now they are digitally printed! Art + Tech! !